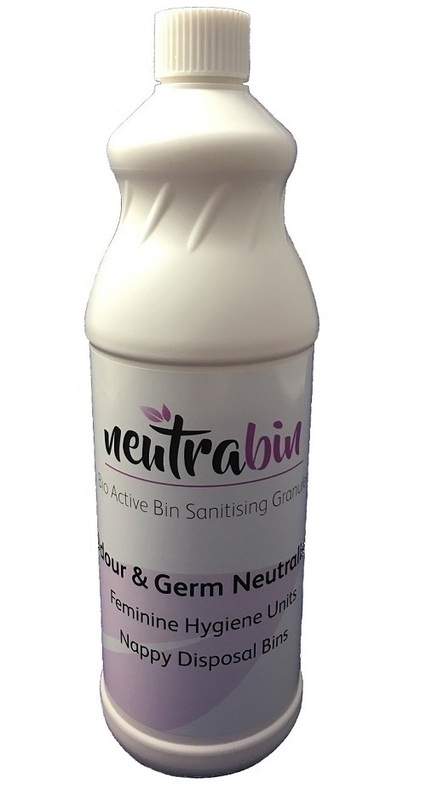 NeutraBin sanitary bin sanitiser. 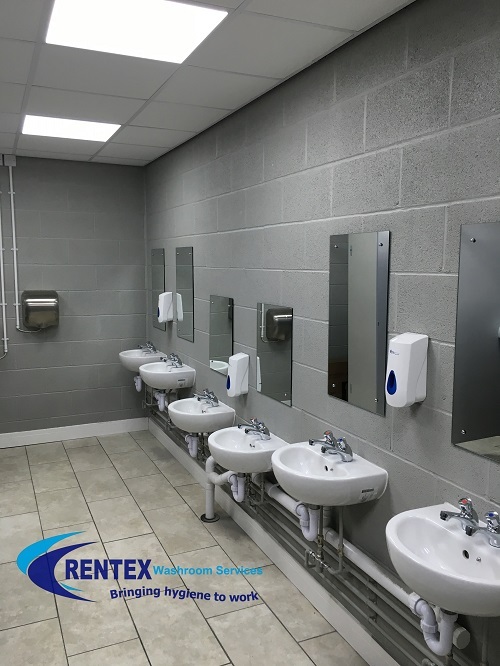 This product is specifically designed for the safe storage of soiled dressings within sanitary disposal units, the special Bio Active sanitiser is 99 % biodegradable and can also be used in Nappy bins. Neutrabin specifically produces a slow release germicide with odour neutralising properties controlling vapors that are activated upon contact with moisture or waste materials within the receptical. 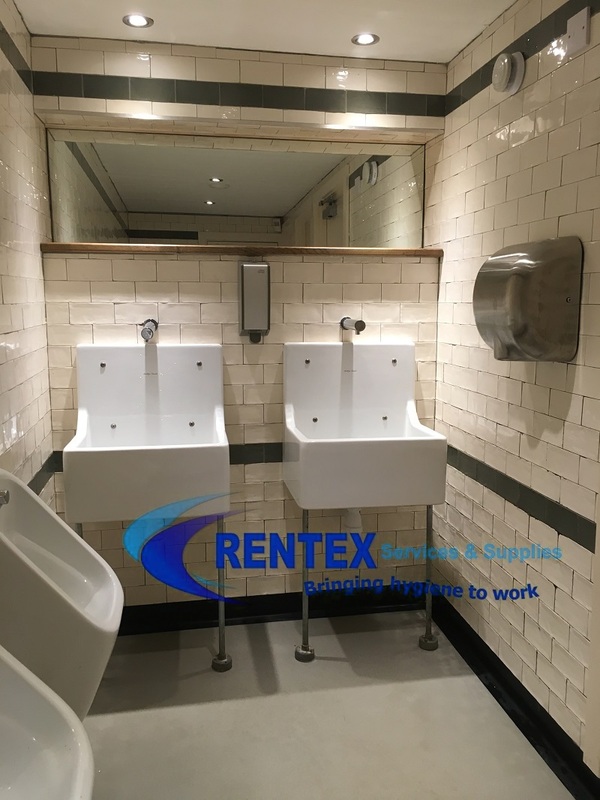 Using NeutraBin ensures that harmful airborne bacteria is neutralised as a result reducing the risk of germ inhalation by your sanitary bin services operative. 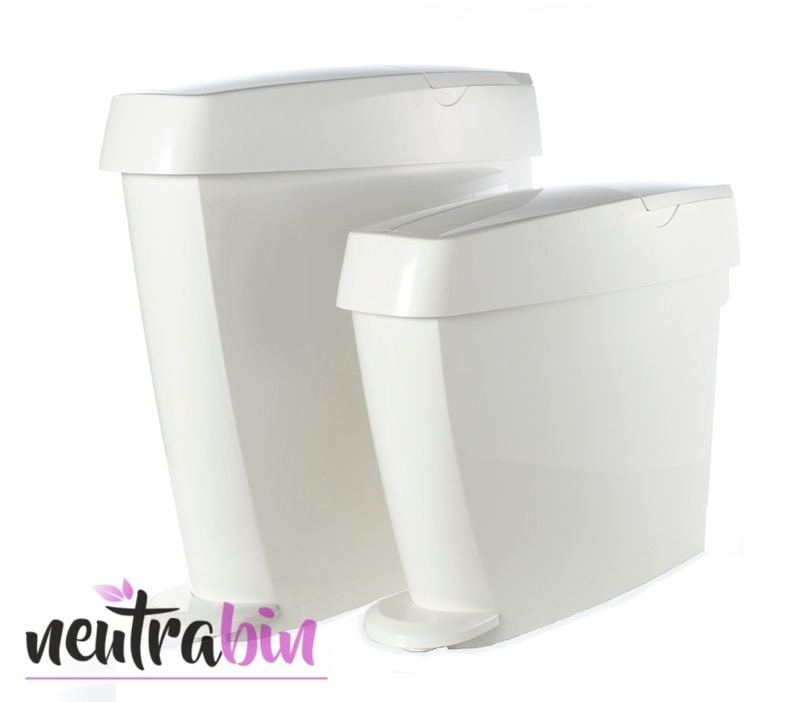 NeutraBin markedly differs in comparison to other products that aim to control odours and destroy bin bacteria. 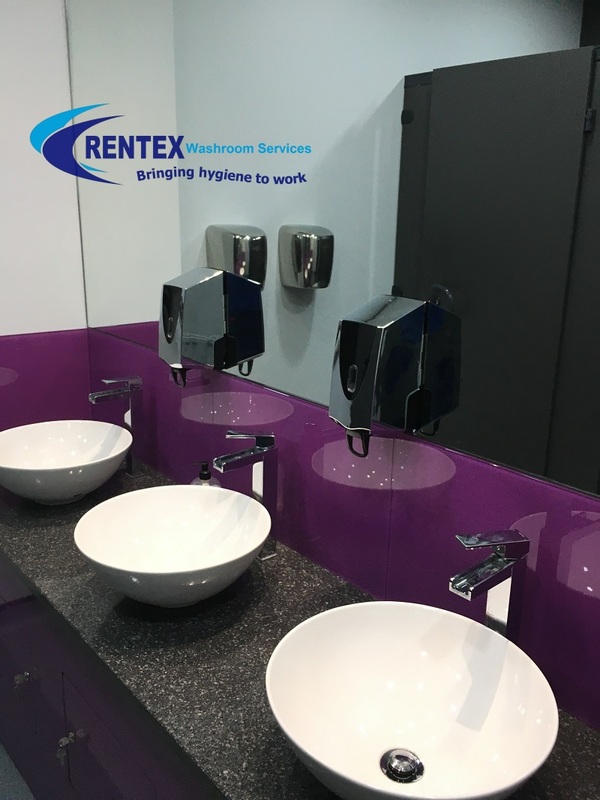 The properties of our Neutrabin sanitary bin sanitiser ensures that offensive odours are destroyed but also that the bacteria is controlled and destroyed at the same time. For sanitary & medical waste neutralizers please see our NeutraWaste sanitiser. Bacterium could also derive from such things as soiled dressings or even general organic waste. 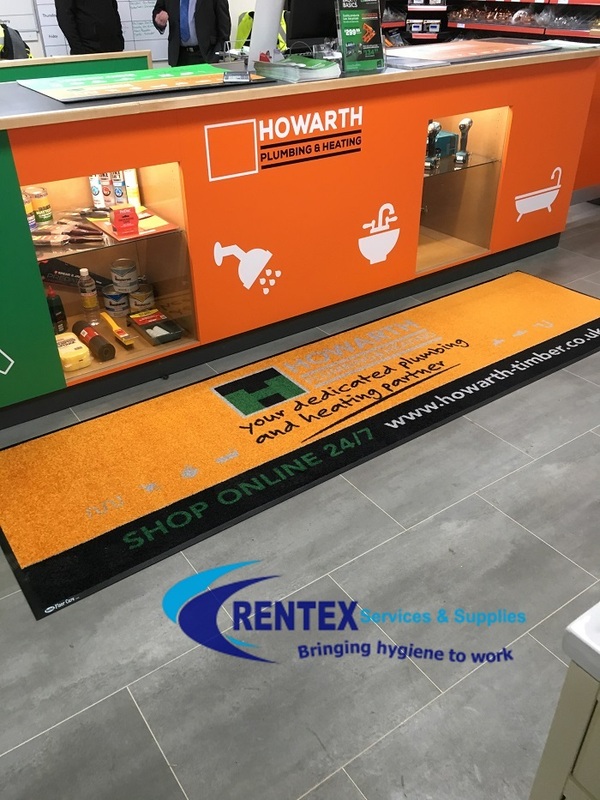 The main thing to consider is that NeutraBin works in a non toxic manner the odours that it produces as a result of reacting with the bacteria will be non toxic and not harmful. 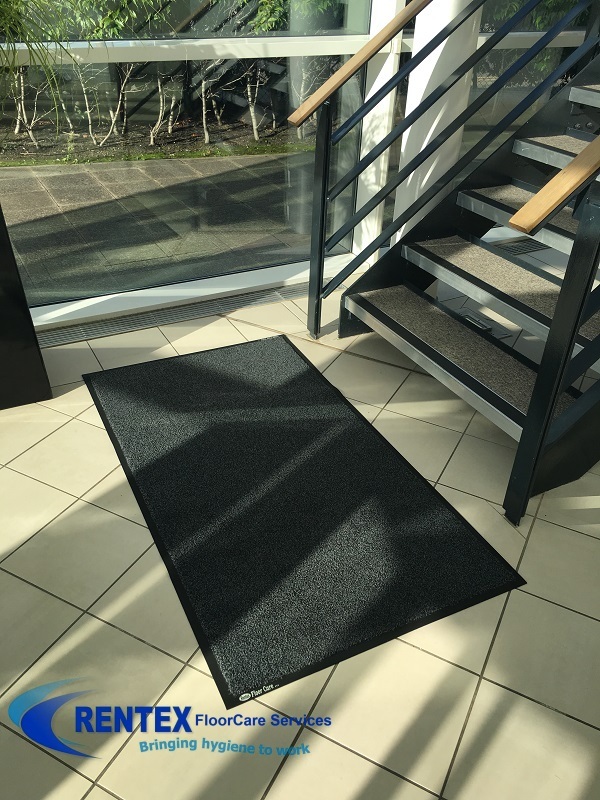 This means that any odours produced are less harmful than those that are produced by the waste in question. 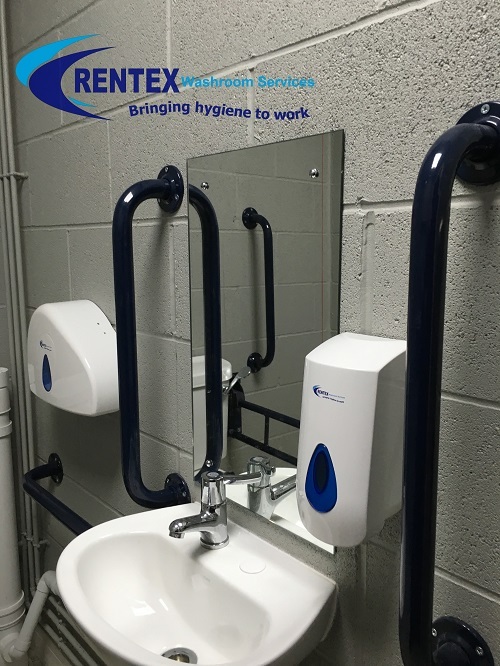 Demonstration of one of our bin sanitisers being used within a feminine sanitary disposal unit ready for use.